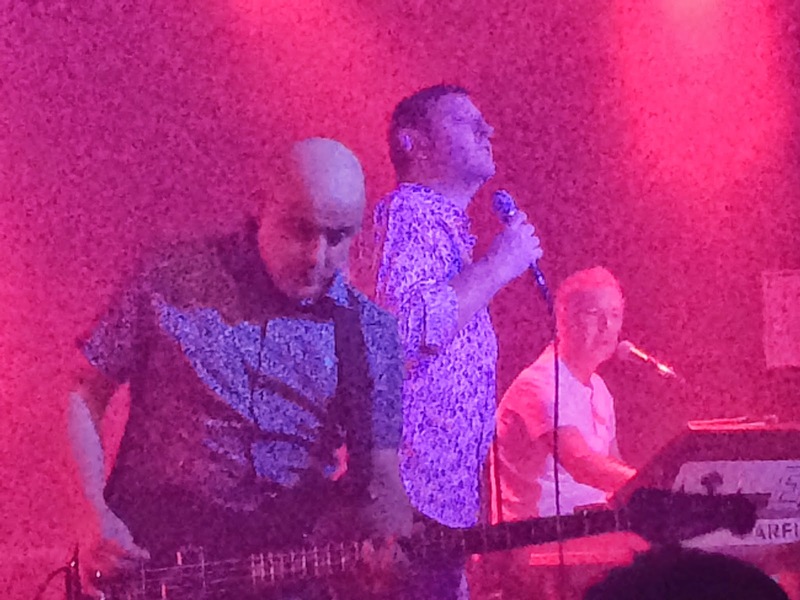 This week saw Inspiral Carpets kick off a three week UK tour in support of their recent self-titled album, their first for twenty years. 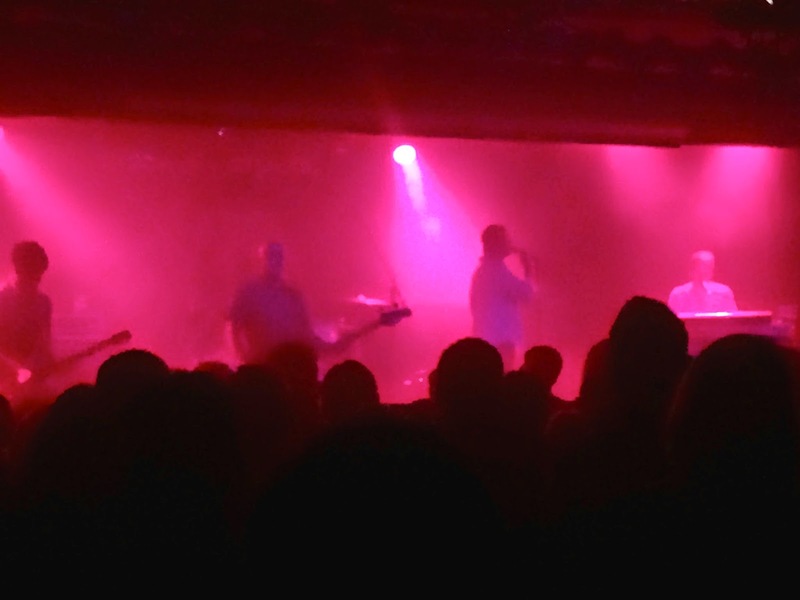 We caught them in a packed Sheffield Leadmill mixing tracks from that album as well as some old classics and favourites. Opening up the evening's proceedings are Gramotones, slowly building themselves a formidable reputation and tonight's set does nothing to dispel the expectation that they're set for much bigger things. For a band so early in their career, they have many strings to their bow, moving from straight-forward pop songs, delicious three part-harmonies through mod-styled guitar rock to songs that verge on prog/psyche epics. Interchanging vocalists, swapping instruments, they demonstrate in a short half hour that they have the ability to appeal to many different audiences - in fact, the biggest difficulty they'll face is keeping all those strands together and forging a setlist that isn't too eclectic for an audience. There's no such worries on that score tonight, despite them having to chide the Sheffield audience for being extremely quiet, as they run through tracks like M62 Song, Child Benefit Train and Old Man, leaving behind a massively impressed audience. The Inspirals enter the stage to the traditional chorus of the audience mooing at them. The dark rumblings of the intro to new album opener Monochrome fill the room and it's that which they start the set with, putting down a marker that the set tonight will focus heavily on the new record, which we think is a good thing given it's the best album they've ever put out. In total we get seven songs from that record tonight - singles You're So Good For Me and Spitfire get a reaction that shows that they have made a connection with an audience familiar with the hits of the early nineties and set closer and next single Let Me Down is a trippy drawn-out epic complete with (recorded) John Cooper Clarke vocals. A To Z Of My Heart allows Clint and Steve to share lead vocals, whilst Calling Out To You and Human Shield show that they can still master songs that aren't full-on full-pelt three minute singles. The rest of the set is based around their hit singles and in particular the earlier years of their chart success - that series of singles Joe, Find Out Why, Move, This Is How It Feels and She Comes In The Fall, that saw them labelled as the third part of the Madchester trilogy and made them household names are all present and correct as is the emotional Sackville from their debut album Life. There's also the later singles - Two Worlds Collide, Dragging Me Down, I Want You and set-closing showstopper Saturn 5 from their later period. It's these that the crowd know and love and they're the cue for a moshpit of forty-somethings reliving their twenties. The release of the album has changed the dynamic of an Inspiral Carpets show, no longer are they a series of hits and album tracks interspersed with the odd new one, the album has cemented itself as a favourite for a sizeable element of the crowd and the reaction those songs get tonight suggest that they have reconnected with new material with their audience. They overcome some sound issues at the start and their lighting show, whilst impressive, is probably a bit too full-on for this venue meaning it's difficult to see the band at times, but none of this detracts from the fact that they're still a thrilling live band with that Farfisa creating a swirling heady mix of sounds that's unmistakably Inspiral.